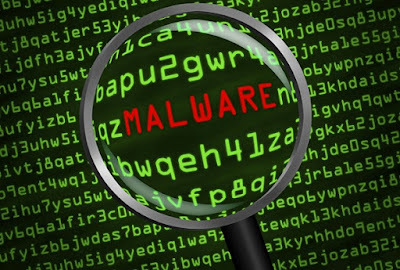 How to Detect Malware Infection Computer/PCs? Cybercriminals are constantly trying to find new vulnerabilities to exploit. As a result, new threats are emerging every day on the web. To stay protected, it is important to ensure that your antivirus program is up-to-date. Unfortunately, every so often malware gets beyond our defenses even though we are careful. Maybe our anti-virus software is out of date or perhaps we clicked on a link by accident and activated a virus. There are many possibilities in which malware can get into our system. This might be a symptom of an infection by malware. If your computer has been infected by a virus, worm or Trojan, they could be running tasks that take up a lot of resources making your computer system run more slowly than usual. If you are not running a resource-heavy application but your computer is very slow, you might have a computer virus. If you encounter alarming pop-up messages while surfing the internet, claiming a virus has been detected on your computer and that you should download software to get rid of it. Watch out! These forms of communications are often scams to trick you into downloading software that can jeopardize the safety of your computer. If these messages did not come from your own anti-virus or anti-spyware applications, don't trust it! There is either spyware on the computer or it has been infected by a bogus antivirus (also called as a “rogue”). Your computer has become unstable. Most malware messes around with important files that halt your computer running properly. This could cause your computer to crash. If your computer crashes when you try to run a specific application or open a particular file that tells you that something has corrupted the data, it could be malware. Your Antivirus and firewall protection is unexpectedly disabled. If all of your security components such as your antivirus and firewall have automatically been disabled without your consent, it is most likely a malware has deactivated your antivirus protection. For that reason, you should continuously check that your antivirus is working and running at full protection. Unfamiliar and peculiar error messages. If you are continuously getting error messages indicating that can't access certain drives on your computer or your files won’t open, it might be another sign of infection.